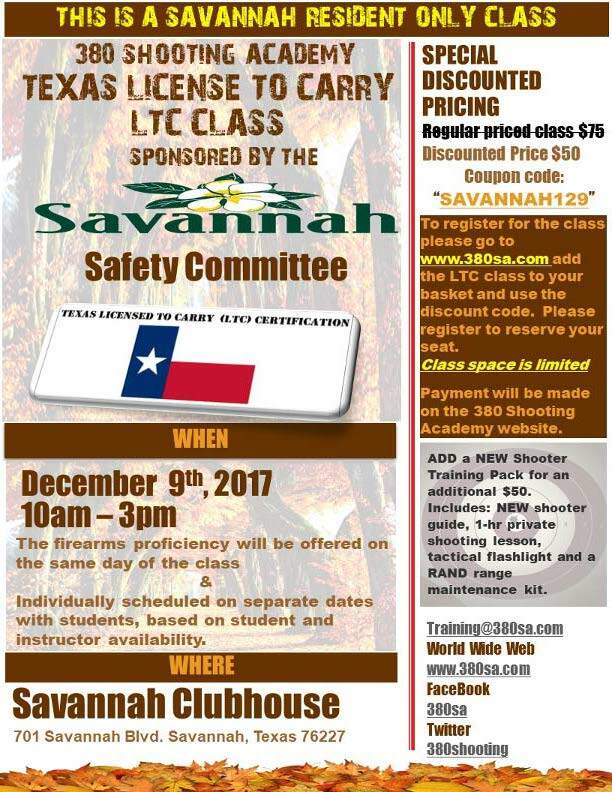 The 380 Shooting Academy along with the Savannah Safety Committee are pleased to announce an LTC session being held at the Savannah Clubhouse on December 9th, from 10am-3pm. 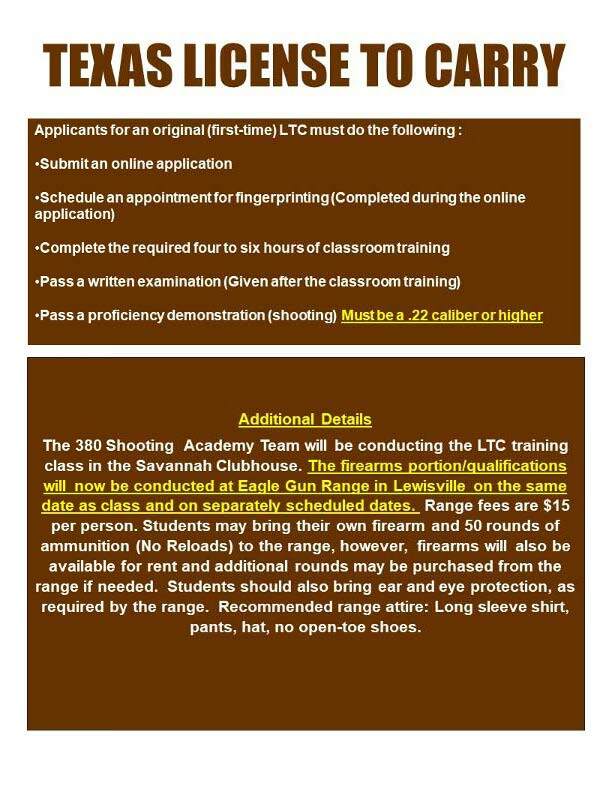 This class provides the Texas Department of Public Safety (TxDPS) required classroom training and firearm qualification students need to obtain a Texas Concealed Handgun License (CHL). (The firearms portion will be held on the same day as the class). The class objective is to train and qualify students for submission to the Texas Concealed Handgun License qualification. Upon completion, students will have the materials required to submit their application. Please go online to www.380sa.com to register and pay for the class. Please remember that the class is being offered at the discounted rate of $50 from $75.